Nobody has to suffer from arthritis! 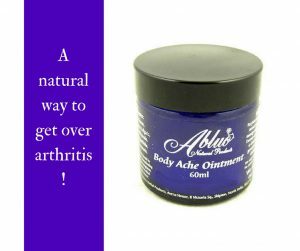 Discover our product from the Abluo range.This natural arthritis ointment contains essential oils and will then naturally ease your pain. You just need to apply some of Abluo balm on the painful part of the body, it is magic!